With over 30 years’ experience of fusion splicer innovation, production and supply. Sumitomo Electric fusion splicers are used world-wide by network installers, fibre optic manufacturers, data centre constructors and carrier grade network operators. Sumitomo Electric’s product range is comprehensive; from hand held micro-splicers through splicers for FTTx and data centre build to High Definition Core Aligning splicers for the backbone network and ribbon splicers for high density networks. Fusion splicer Z1C has High–resolution Direct Core Monitoring (HDCM) image processing software, is used to perform core alignment and estimates splice loss for creating low-loss optical fiber splices with typical splice loss of less than 0.02dB for single-mode fiber and less than 0.01dB for multimode. Like other Sumitomo splicers, the Z1C is manufactured with durable metal rather than plastic materials predominantly used in the industry. 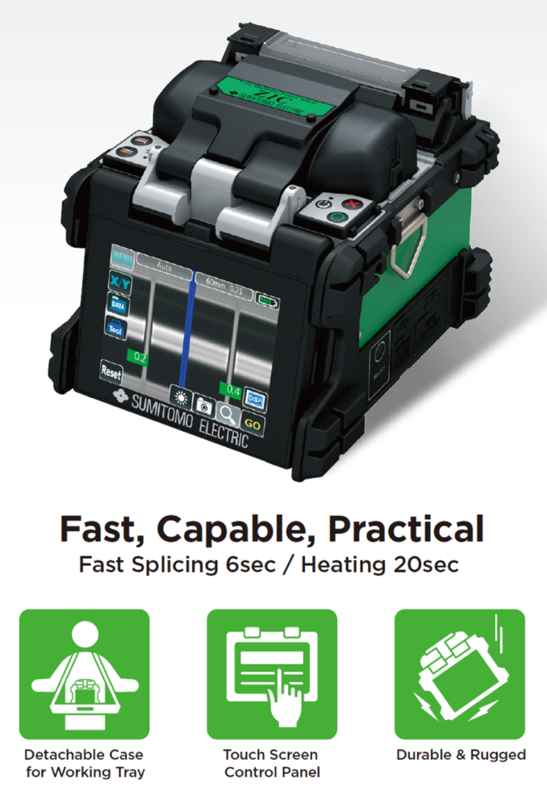 The TYPE-81C’s advanced electronic design, which accommodates the built-in dual heating system and simultaneous operation, makes the faster fusion splicer available on the market by reducing the bottle neck of “heater wait time”. The TYPE-81C improves splicing efficiency and productivity dramatically, thereby reducing labor time and costs while increasing project and customer service turn-up. Designed for portability, precision splicing, reliability, and speed — without foregoing affordability? 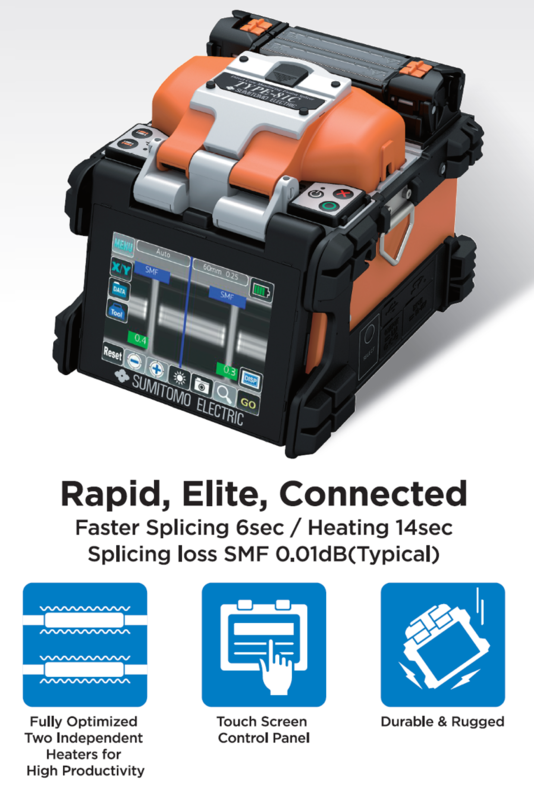 the TYPE-81C splicer is ideal for splicing applications in the central office or head end, the feeder portion of the FTTx network where speed in high fiber application is crucial, and at terminals leading to the final drop to premises or home.